Leucangium carthusianum, known as the Oregon Black Truffle, is native to the Pacific Northwest of North America, ranging from northern California into British Columbia and is commonly found in damp, fern covered Douglas Fir forests. They are prized for their sweet pineapple, floral, chocolate, or cheese like aromas. 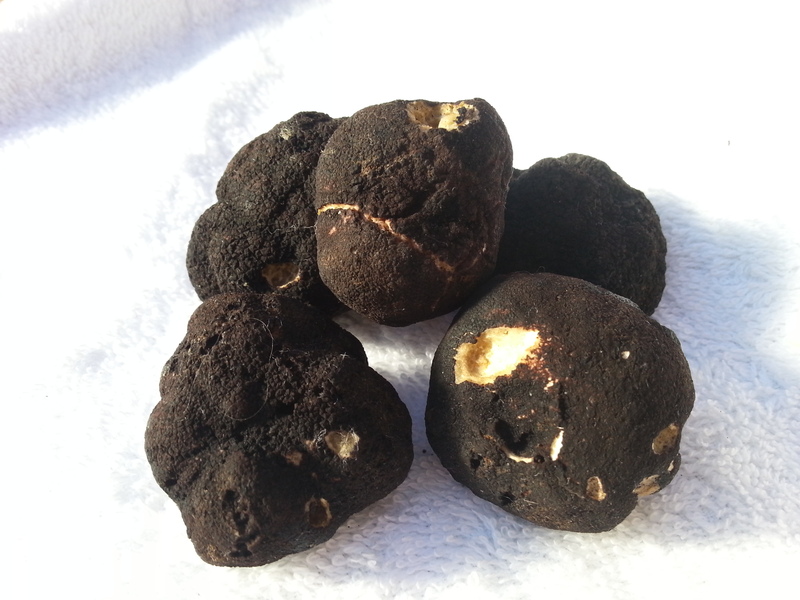 This black truffle has a thin, fragile skin, sometimes with very small diamond shaped points or warts and care must be taken not to damage the truffle in handling. A ripe Oregon black truffle should have a marbled bubble like interior with mostly dark patches in shades of grey with white webbing. 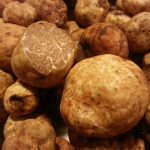 They are used primarily in desserts, pastas, pizzas and meat dishes and for infusions and are highly prized for their delicate and sweet aromas. 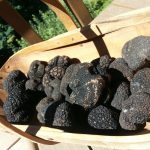 Oregon Black truffles can be found almost all year round, but the main season runs November through April. Oregon Black truffles range in size but are generally larger than other native species, often being 1/4 to 1 ounce or more (about 28g), but truffles of 2 or more ounces (60 g) is not uncommon.